Checking it out on Goodreads! 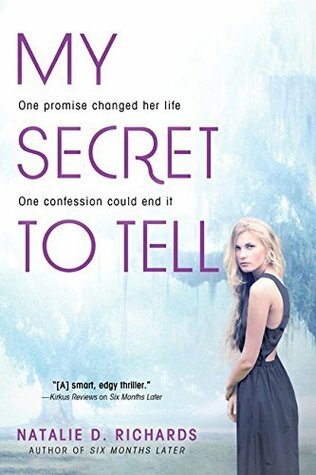 I read a spoiler from this book early on and it just ruined the experience of it for me. I enjoyed the setting, but I had no connection with any of the characters. Of course, I was sympathetic to Deacon and what was happening to him, but that was it. Richards spent time building this story up, and in my opinion is just fell flat. A troubled teen, living in Paris, is torn between two boys, one of whom encourages her to embrace life, while the other—dark, dangerous, and attractive—urges her to embrace her fatal flaws. Haunting and beautifully written, with a sharp and distinctive voice that could belong only to this character, Romancing the Dark in the City of Light is an unforgettable young adult novel. Summer Barnes just moved to Paris to repeat her senior year of high school. After being kicked out of four boarding schools, she has to get on track or she risks losing her hefty inheritance. Summer is convinced that meeting the right guy will solve everything. She meets two. Moony, a classmate, is recovering against all odds from a serious car accident, and he encourages Summer to embrace life despite how hard it can be to make it through even one day. But when Summer meets Kurt, a hot, mysterious older man who she just can't shake, he leads her through the creepy underbelly of the city-and way out of her depth. When Summer's behavior manages to alienate everyone, even Moony, she's forced to decide if a life so difficult is worth living. 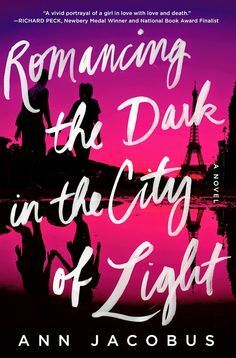 With an ending that'll surprise even the most seasoned reader, Romancing the Dark in the City of Light is an unputdownable and utterly compelling novel. My first red flag should have been that it is a love story set in France. It's a cliche. I didn't get far into Romancing the Dark in the City of Light. The book is written in third person, making it hard to relate to Summer to begin with. At some things Summer would say I just couldn't help but roll my eyes. Bottom line: I see so much of myself in Summer (Not her actions, but other things) that it scared the crap out of me. 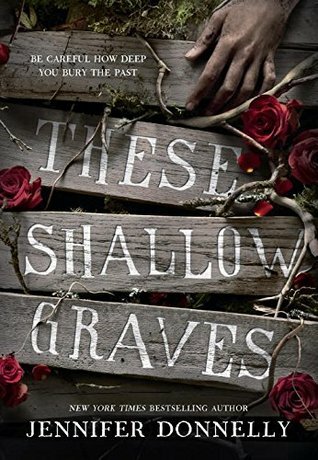 These Shallow Gravesis the story of how much a young woman is willing to risk and lose in order to find the truth. Jo Montfort is beautiful and rich, and soon—like all the girls in her class—she'll graduate from finishing school and be married off to a wealthy bachelor. Which is the last thing she wants. Jo dreams of becoming a writer—a newspaper reporter like the trailblazing Nellie Bly. Wild aspirations aside, Jo's life seems perfect until tragedy strikes: her father is found dead. Charles Montfort shot himself while cleaning his pistol. One of New York City's wealthiest men, he owned a newspaper and was a partner in a massive shipping firm, and Jo knows he was far too smart to clean a loaded gun. The more Jo hears about her father's death, the more something feels wrong. Suicide is the only logical explanation, and of course people have started talking, but Jo's father would never have resorted to that. And then she meets Eddie—a young, smart, infuriatingly handsome reporter at her father's newspaper—and it becomes all too clear how much she stands to lose if she keeps searching for the truth. But now it might be too late to stop. The past never stays buried forever. Life is dirtier than Jo Montfort could ever have imagined, and this time the truth is the dirtiest part of all. I've never had luck with Jennifer Donnelly books, so this wasn't a HUGE surprise, but I am disappointed because the summary made it sound awesome! I get Jennifer was going on with the time period but the whole "Woman can't do this." or "It isn't proper." really pisses me off. Jo didn't seem very mature for her age, for what I read she acted like a child, and it only got worse when she didn't get her way. Also, I may not have finished this book but why the heck is it 500 pages? I barley made it to fifty. I think after this I won't be picking up a Donnelly book for a while. I just want to note that I don't make a habit of DNFing ARC books. It was sucky that is happened to be all October books that I didn't finish.